Objective: To find out how the world has got smaller in the last few years and to find out what globalization means and how it affects us. Starter: Study the image to the right hand side. Discuss the following points on this worksheet. a. What company is this? b. Where is that company from in the world? 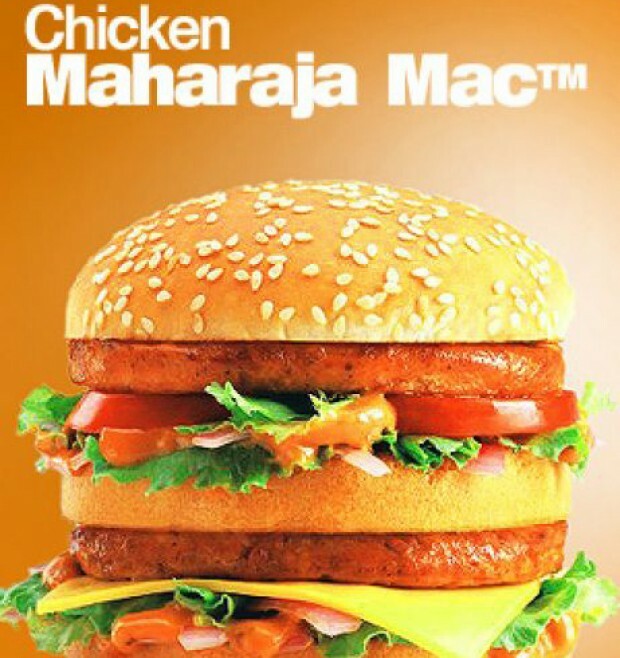 c. Which country is this product being advertised in? d. How do you know that? e. What is the most famous product associated with this company? f. Why is there no beef in this product? Task 1 - Look at the image below. In the next 60 seconds you need to try to locate each of the advertisments. Each company is from the USA, but the adverts are not targeted at people who live there. Alternative Introduction - My global connections - With a world map and an atlas get students to mark onto the map all the places you are connected to, for example where they have been, where their family or friends live, where their favourite possessions were made, where their favourite food is grown or produced, where their favourite film was set, where their favourite international football team or player is from. Task 2 - How Globalized am I? You are going to be completing a self study during the lesson today. You will need to have all of your possessions on the desk in front of you. Complete the worksheet by clicking on the blue tab to the right. Add a 'Made In ....' tag to each item on your sheet. Here is an example list of what you may have with you today in school. If you use Facebook, approximately how many friends do you have and what countries do they live in? The last person you skyped/facetimed was in which country? The number of languages that you can speak? Your teacher will be taking a photo of you with all of your possessions for you to use in task 3. Task 3 - Mapping out my globalized life. Now you have completed your A3 worksheet above, tally up all the countries that have been named and put them into rank order. Share them with the class. Now, click on the blue tab underneath to map out your possessions globally. You will need to come up with a choropleth shading key (darker = more things from that country, lighter = less items from that country). 1. Go rummaging in your cupboard at home and choose 10 random pieces of clothing that have a 'Made In .....' label. Note down what the clothing is and where it was made in the table on the worksheet below. 2. 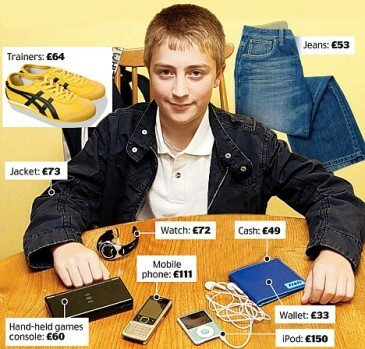 Then choose three random pairs of your shoes/trainers/slippers etc and record in the table. 8. One piece of jewellery e.g. watch, bracelet, necklace etc. That is 8 things in total. Download your photo and add it to your homework sheet with a total of all countries and those countries shaded in on the map too. Hand in to your teacher to find out who has the most globalized outfit. homework task sheet - how globalized am I? Starter - So, you have probably found out that you are already very globalized. Not everybody is the same as you. Watch the first three minutes of the documentary to the right. Discuss what you have just seen. Task 1 - Watch the video to the right about the uncontacted tribes of Brazil. Now imagine that you were parachuted in to the jungle. How do you explain the following three globalized products? Click on this link to access your tricky worksheet! Task 2 - Using this worksheet create a collage / hand drawn design to show the key factors that have aided the spread of globalization. There should be no words! Optional Task - Do I have Slaves? -Take this interactive test to find out if you do have slaves working for you in 2019. What did you find out? Write down your thoughts on the results. Who Makes My Clothes & Where? welcome to the unfair factory - ready to play? Ready to Play? You have 15 minutes to see if you could last a day in a sweatshop. Click the blue tab above to access the game. Which of you will last the longest? How did your day go? With your teacher, record on the IWB all the things that stopped you from working as fast as you wanted to and other things that made your life difficult. Make a note of these for later. Objective: To find out why global fashion companies make their clothes in far away places. Task 1 - Click on the tab below to access the worksheet 'Perfect Sweatshop Worker'* - Complete the activities set out. *Thanks to Victoria Ellis. 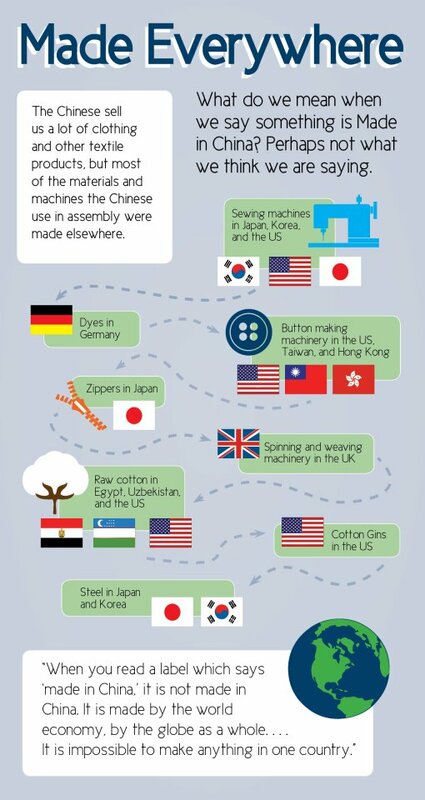 You should now know where the majority of your clothes come from and how they get to you. But is it just as simple as where your clothes are made? There is more to this than meets the eye! Task 2 - Watch the trailer to the film above. Write a 200 word diary entry for a teenager who has just started work in the factory, thinking about the good and bad things about moving from his/her home in the countryside to the factory in the city to start this new job. Homework - Study the image to the right carefully. This is why made in China is not all it seems. Use an A3 copy of the map below and the cut out labels on the worksheet to create a Global Jeans display. Is it all SAB Bhalo in the Sweatshop? Objective: To find out about life working in a sweatshop and illegal child labour. Starter: Watch the first video to the right hand side. What is this all about? Child labour & Sweatshops - In some factories, children are employed to work making clothes. This may well be what they do for the rest of their lives. Meeting Meem. Now watch the second video to the right. This is the introduction to our task today. Task 1 - Literacy Focus - In 2013, a reporter spent a number of days working undercover in a sweatshop in Bangladesh. Click the blue tab below to read all about it. ii. Read the section entitled 'Getting the Job'. Once you have read it, spend 20 minutes making a sketch of what you think the sweatshop & Hamid's office would look like. Annotate (label) the things you have included. iii. Read the section entitled 'School's Out'. Fill in the relevant section of the Meem's Diary worksheet. Think carefully about why you go to school and what you hope to do later in your life. iv. Read the section entitled 'The Kids Don't Know Better'. Complete the activities on the worksheet. a. Why do factory workers prefer children workers? b. How has the increase in sweatshops been a positive effect on many women in Bangladesh? v. Imagine you are Meem. Write a diary extract of about 400 words on the worksheet that explains how her day went and what happened to make it difficult. How much did you earn in the end and was your boss happy? How Does My Stuff Get To Me? 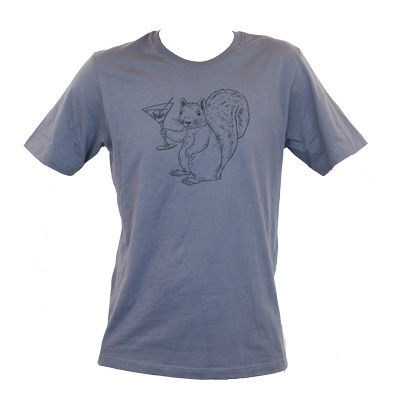 Objective: To discover how the global supply chain works in the production of the T-Shirt to the right. You are going to be completing an interactive video study finding out how clothes that we wear get to us. This is called the 'Global Supply Chain' and includes many different people and places around the world ... all for one single T-Shirt! Use the note taking frame below right. Task 1 - You will be creating a display to show the Global Supply Chain of the T-Shirt to the right. The centre piece of your display should be an annotated map of the world to show the countries involved, the people in the supply chain (& photos) and how those clothes reach us, the customers. You should also have a person profile (images of people here) for each of the people & processes in the films and this should be stuck on your display. Transport - types of transport from factory to shop. Click above to access the interactive study. You will need headphones and rough paper to record your notes on. ​Don't forget, under each video, you can scroll down to read more about what you have just seen You can use some of this information on your display piece, including some of the data. Objective: To find out more about one of the biggest clothes retailers of today, Primark. Can we buy clothes this cheaply without cheating the people who make them? 1. Brief history of Primark. 3. Low priced clothing - examples and costs. 5. Why Primark works so well in a global recession. Task 2. Click here to find out a bit more about how many countries are involved in making Primark clothes (not selling!). 1. How many countries in total are involved in the production process? 2. How many factories are there in South East Asia in total? Task 3 - Watch the last video below (Take a 360 virtual tour of a factory in Bangladesh) and complete the activities set out on the worksheet beneath. Why does Primark locate its stores in the city centre? Task 1 - Check out the four embedded Google Street View's below. The first is in Madrid, the second in London, the third is the biggest Primark in the world in Manchester and the fourth is in Barcelona. Click the 'View on Google Maps' icon and check out the surrounding area by having a good look up, down, left & right! ​Task 2 - Click here to be taken to the Google Streetview of the location for the new Primark store in Toulouse. In the image, the shop it under construction but it has now opened. Have you been here before? Have you been in to the store since it opened? Task 3 - Read the quotes to the right carefully about the Central Business District or CBD for short. You have been to many different CBD's in your lifetime and so this is Geography that you have probably already noticed. i. Take a screen shot of one of the two Primark locations above from Google Streetview (or the Toulouse location). iii. Annotate around the screen shot as many of the features as you can see as mentioned in the quotes to the right e.g. tall buildings to save on ground space and high rent. The CBD or Central Business District is the commercial centre. It contains the main shops, offices and financial institutions of the urban area. It is usually the most accessible (easy to get to) part of the city. This is because most of the main transport routes lead here. Due to high land values, buildings tend to be tall and there are a lot of them. Land values tend to be very high, this is the result of great competition to locate here. It is cheaper to build up than out. Also, there is a limited amount of open space available. New developments tend to focus on redeveloping existing areas rather than using the limited open space available. During the day the CBD is densely populated. This is due to the high number of pedestrians, shoppers and shop and office workers. However, the CBD has a limited number of houses and flats due to the high land values in this area. Objective: To discover what the impacts were of a recent sweatshop disaster in a place that some of our clothes were made. Resource 2 - YouTube video to the right. You can watch the first 15 minutes or so to get the information required. Build you own case study of the disaster in Bangladesh using the work sheet framework below to help you. Objective: To understand ways in which the world’s sweatshops can be improved. You will be completing a decision making exercise where you can make a plan to improve life in a sweatshop that manufactures Primark clothing. Your resources are listed below. Resource 4 - Peer Marking Sheet. **This work produced by thomasjimmyg - Trainee teacher studying at Hull University and on placement in an East Riding of Yorkshire School. 20 mins starter: Watch the documentary - Nike behind the swoosh - taking notes on what you see and the problems that the reporting team experience. Record your notes on this worksheet. Be prepared to discuss with your teacher and class. 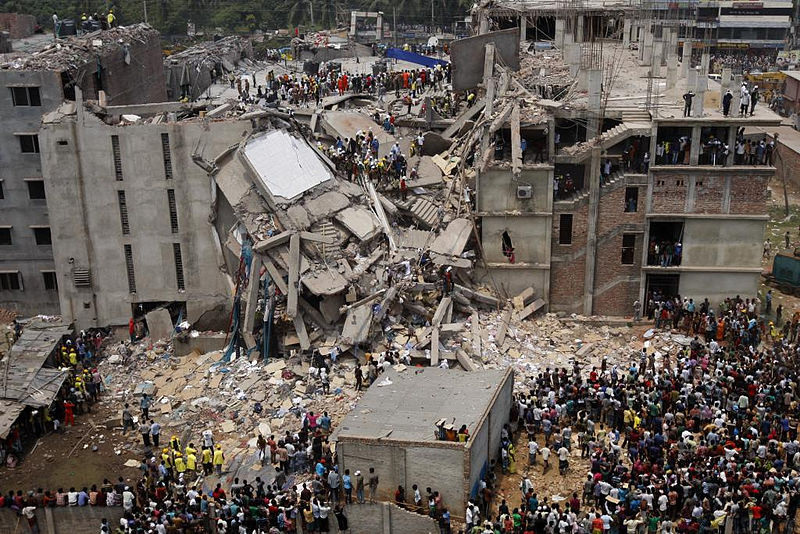 Objective: To design and debate a code of ethics for Primark to implement to stop future sweatshop disasters. You now know the issues surrounding the production of clothes in sweatshops. 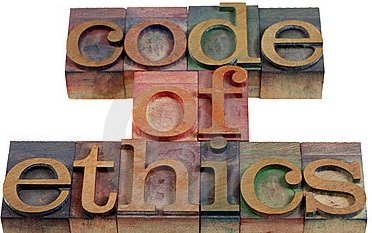 It is now your job to pull together what you know into a Code of Ethics document for Primark to adhere to. Objective: To write our globalization essay based on our views of whether globalization is a good thing or not. Paragraph One: What is globalization (Any good quotes that could help to explain this concept?)? Paragraph Three: What are the advantages/positive things about globalization? e.g. how do I benefit? Paragraph Four: What are the disadvantages/negative things about globalization? e.g. who does not benefit? how does it affect me in a negative way? Paragraph five: Conclusions: What conclusions can you make about globalization? Does it make your life better or worse? Could you live without it?